Pan American is the world's second largest primary silver producer, providing enhanced exposure to silver through a diversified portfolio of assets, large reserves and growing production. We own and operate 10 mines in Mexico, Peru, Argentina, Bolivia, the Escobal mine in Guatemala that is currently not operating, and Canada (Timmins Ontario) with the Timmins West Mine and the Bell Creek Mine and Mill complex (Tahoe Canada) located in one of the world’s most prolific gold camps. Developing and supplying high quality timely pumping solutions tailored to the specific needs of the Mining industry. Terrapure Environmental is a leading Canadian provider of innovative, cost-effective environmental services and recycling solutions that help address industry’s complex environmental challenges. 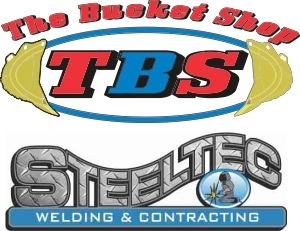 Total Equipment Services Inc. specializes in distributing, servicing, rebuilding, and manufacturing of mining equipment. We pride ourselves in supplying our customers with dependable products and services that keep their mine moving. TESC Contracting Company Limited is a multi-trade construction services provider specializing in industrial projects and plant/facility maintenance. We offer Civil, Structural, Electrical, Piping, Millwrighting, Boilermaker, and Engineered Scaffolding services. Testmark Laboratories has been proud to provide accredited and licensed analytical testing services for over twenty years. Our services include organic, inorganic, microbiological, toxicological and metallurgical testing from each of our 5 convenient locations (Sudbury/Garson, Timmins, Kirkland Lake, Mississauga and Thunder Bay). 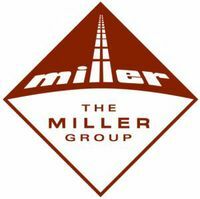 The Miller Group takes pride in its service-oriented construction operations and strives for excellence in all areas. Each of the companies within our organization offer friendly professional service to our clients as well as an extraordinary level of product quality. Publisher of a unique catalogue containing NEW and used mining equipment available in todays global market. Buyers - Visit us at booth Front 08 Arena 2 for your free subscription. Sellers - We can get you global exposure, with or without an advertising budget. We are the Official Host Hotel for the 2019 Canadian Mining Expo and Northern Ontario's most prestigious Gala Dinner and Mining Info Night. New! Exclusive Airport and Mine Expo Limousine Service. We are a full service hotel located in the core of the city with a Breakfast Café, fine Dining in the Senator Dining Room and banquet facilities for up to 470 persons. Complimentary covered parking. Preferred corporate rates for mining related companies all year.